In iOS 7, Apple introduced the option to add an "Unread" mailbox to the iOS Mail app, giving users a place to aggregate all incoming email for quick access. The feature was never widely publicized, and as a result, many iOS users today are unaware that it exists. Adding an "Unread" mailbox takes just a few taps, but it's highly useful, especially when you've got a lot of incoming emails. 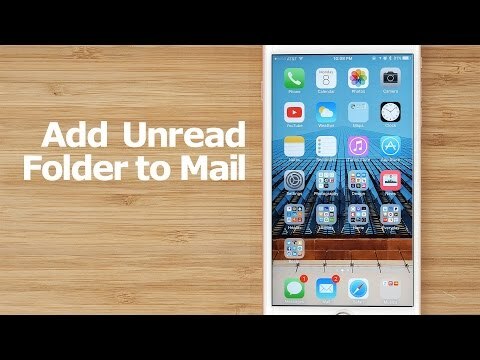 We've created a video that shows how to enable the Unread mailbox on your iPhone or iPad, and below that, you'll find step-by-step instructions on the process. Subscribe to the MacRumors YouTube channel for more videos. Steps to enable the "Unread" Mailbox: Open the Mail app. Tap "Edit" in the upper right corner. 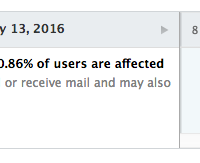 Scroll down beyond the currently enabled mailboxes, and check the "Unread" box. Use the hamburger button to move the Unread box to a spot that's most convenient for your usage habits. Tap "Done." Each incoming email will be filtered into the "Unread" mailbox as its received, and when read, the email will be removed from the box so you can always keep tabs on what hasn't been read. You can also filter emails by other parameters using specialized boxes found in the Mail app, including total emails received in a day, emails with attachments, flagged emails, and more. For more quick tips on hidden iOS features, make sure to check out and subscribe to the MacRumors YouTube channel. Dealing with daily emails on Apple Watch is probably low on the list of things you want to do with the wrist-worn device, especially since you can't actually write or respond to emails in the Apple Watch Mail app. However, Mail can be a useful way to clean out your inbox without pulling out your iPhone. Plus, if you need to address an email right away, you can always use Handoff with your iPhone or Mac. We've got some basics for how to use the Mail app on Apple Watch, plus some useful tips on customizing the app to suit your on-the-go needs. 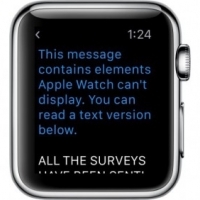 Reading Email If you are out and about and want to know if that email you have been waiting for has finally shown up, you can use Apple Watch to help you out. Mail for Apple Watch supports data detectors, so you can tap on phone numbers or addresses to automatically launch the appropriate app right from an email, a convenient feature when you're out and about. In Apple Mail, finding email messages from certain contacts can be made easier by giving them a "VIP" status. Short for Very Important Person, VIPs are identified in your inbox by a star next to the person's name in any messages you receive from them. Messages from the same VIP are also displayed in their own folder in a special VIP smart mailbox that sits in Apple Mail's Favorites bar. You can assign up to 100 VIPs, and if you use iCloud Contacts, your VIPs are available on any other Apple devices signed in to the same account. Moreover, you can choose to be notified of emails only when the messages are from people in your VIPs list, thanks to Apple Mail's custom alerts feature. Keep reading to learn how to set up VIPs on macOS, iOS 11 (including Apple Watch), and iCloud Mail.